We hang up. I send the writer a link. I also do a quick email search, and discover that the writer and I emailed a few years back. Which is how he got my number, I guess. Ironically, the conversation we just had on the phone we also had a couple of years ago via email, complete with website link. He calls me right back. It took five more minutes to explain to him that no, I don’t do that. Before I proceed to rant and rave and maybe even preach, let me start with a disclaimer: I am fully aware that every one of you reading this post got here because you are naturally curious, because you seek out information, because you understand that it’s your job as a screenwriter – working or emerging – to know and understand the business and the space and the jobs of the people who work in it. So I am sort of preaching to the choir here. And believe me, I am grateful for that. DEAR LORD, PEOPLE! DO YOUR FREAKING RESEARCH!!! The truth of the matter is that, in this day and age, with information sitting right there at your fingertips, you just can’t afford to be uninformed. You can’t allow anyone who could serve as a bridge into the industry – be it an agent or a manager or even just little ol’ me – to think you don’t know to do the research or, worse, that you have no interest in it. In this industry, ignorance is not bliss – it’s an embarrassment, and it would embarrass those whose help you are out to get. If there is one thing that agents and managers can’t tolerate it’s being embarrassed by their client. Getting a call from an executive that starts with “Well, I don’t really know what to tell you…” because the writer in the room was unprofessional by being unprepared and un-researched about the company they met at or the executive they met with. And I get that some of my readers may get offended by the thought that a badly-behaving writer would overshadow even the most amazing feature spec or original pilot, but the reality is that agents, managers and executives get in business not with the script, but with the writer. Because of this (and I can’t emphasize this enough) it’s important that the writer show up in a professional manner right out of the gate. And the first step to appearing professional is (you guessed it!) doing your research. Don’t get me wrong: I am all about helping a writer get the information that he needs but doesn’t have. If anyone comes to me and tells me something to the tune of “I want to know more about X, can you fill me in?” or “What should I know about Y?” Fantastic. I’m happy to give the writer the information, to send them in the right direction, or get them the resources that will get them there. Nobody knows everything. As a mother of two and a woman working in this industry, trust me, I am more and more aware of this every day. But not looking at the information in the first place, or, worse, asking someone to spoon feed it to you? That’s just laziness. 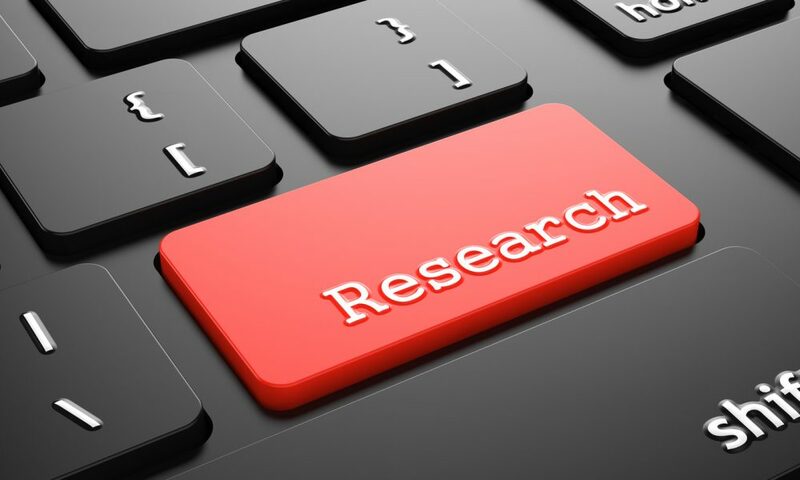 Now, doing your research is not just about the people you come in contact with. It’s also about the research that you invest in the work. And if you can do some research about the person you’re asking to read the script, all the better. Case and point: A couple of years ago now (boy, time flies!) someone sent me a script that straight out pissed me off. I am a proud Israeli. And if you’ve done any research on me, you’d know that that little nugget of information is not hard to find. And the writer in question told me that he did just that before he sent me a script that took place during the Holocaust. So far, so good, right? The only thing was that the script was set in 1941. And in the script, one of the main characters mentioned Israel. By name. The problem? Israel did not gain independence until 1948. So in 1941, anyone talking about it would have been talking about Palestine, which was under British mandate at that time. You don’t have to be Israeli to know this stuff. All you have to do is Google it. It’s critical to do research not only about the facts of your script or the person whose support or interest you are seeking, but about the space you are writing in. The good news is that, these days, information is everywhere. It might not always be the right information, but usually with a few savvy searches you can either confirm or refute it, and walk into almost any situation prepared, be it a meeting with agents or managers (in which case you want to know who they rep and if possible how they work), producers or development execs (in which you will want to know the shows or movies that they worked on, anything they might have in development, as well as his company’s deals and brand) or studio or network execs (for which you want to know what movies or shows they’ve overseen or “covered”, or if they work in a specialty department). Even with someone like little ol’ me, you want to know what it is that I do if you want me to treat you like someone who is serious about this industry, and consequently making a job of this craft. The bottom line: The information is there to be gotten, to prepare you for your meetings, to inform your “ask”, or to authenticate your script. Don’t take shortcuts or excuse yourself from doing the work. This is a small town. A tiny industry. And for good or bad, it is watching, trying to separate out who it’s excited about and who it may be interested in getting into business with, from those who don’t do the work and just expect everything to be given to them. So always walk in informed, well researched, and professional. The industry may not fall at your feet, and there will still be much to accomplish, but by doing just that much you will give yourself a serious leg up in this game.